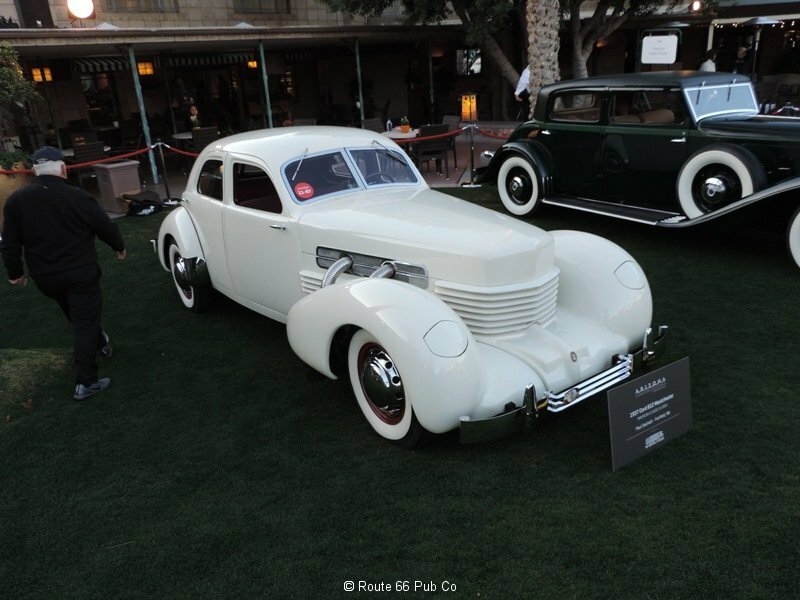 As promised here are some more award winners, focused on Detroit born, from the Arizona Concours d’Elegance. 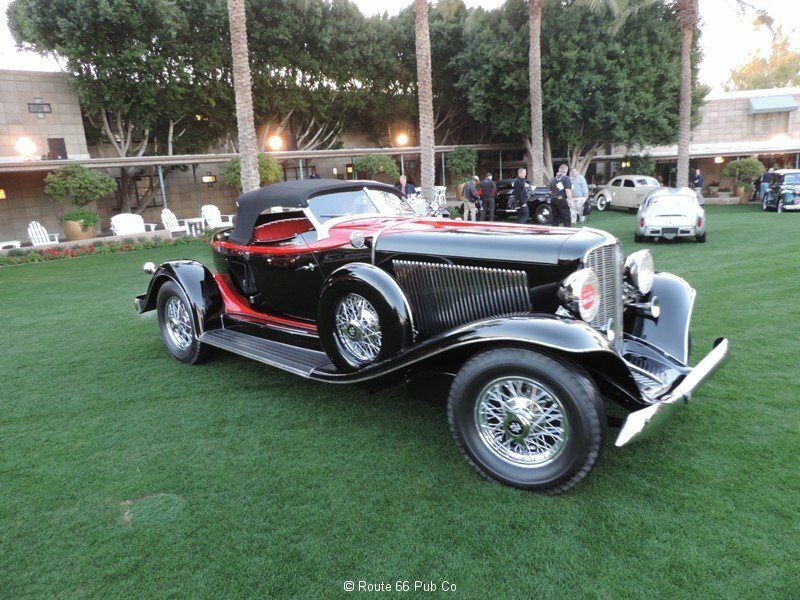 This event was held last month on the grounds of the Biltmore Hotel and helped kick off an eventful week of car auctions in the Phoenix, Arizona region. Glad to see this event helps raise money for a great cause as well. 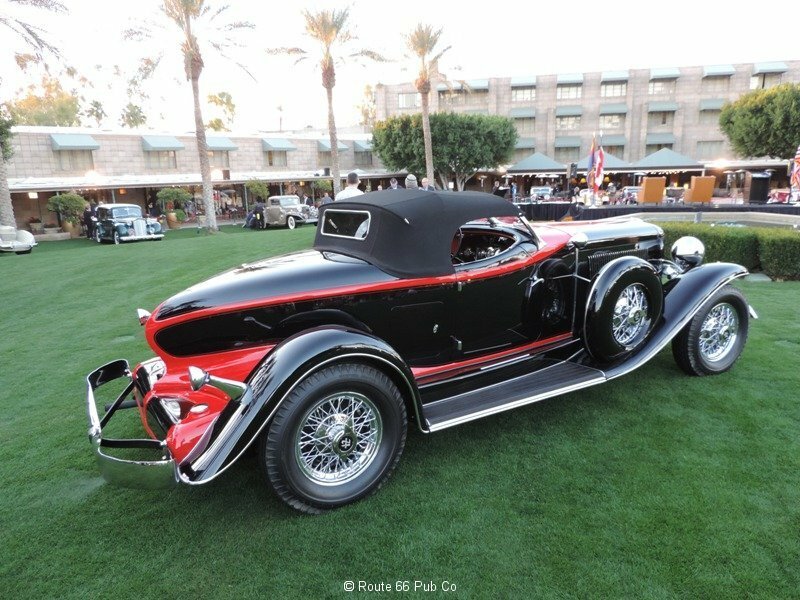 At this show was an entry from Gordon Apker, a noted classic car collector, who unfortunately died recently and was mentioned here. We’ll miss this class act and a knowledgeable classic car enthusiast. 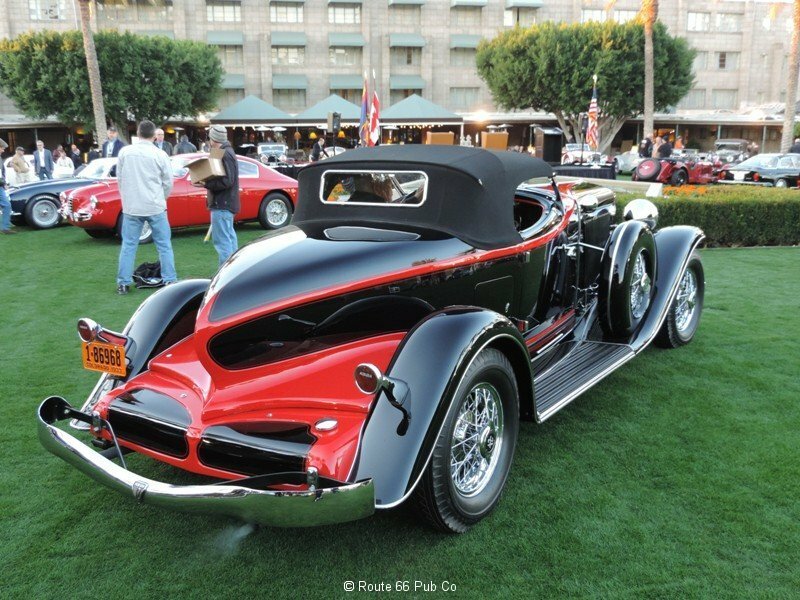 I just love this marquee and the boat tail is instantly recognizable among classic car fans. 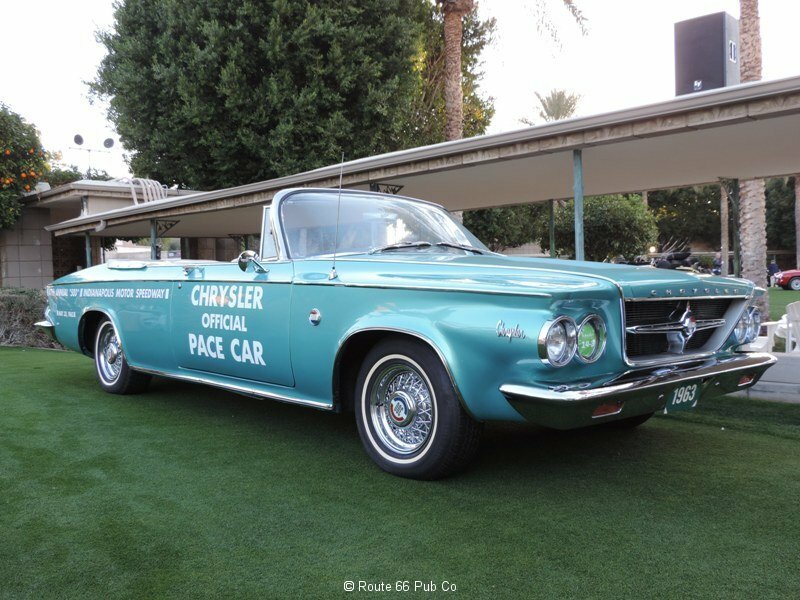 The paint scheme on this is just eye catching. This Auburn won a Frank Lloyd Wright School of Architecture Award. 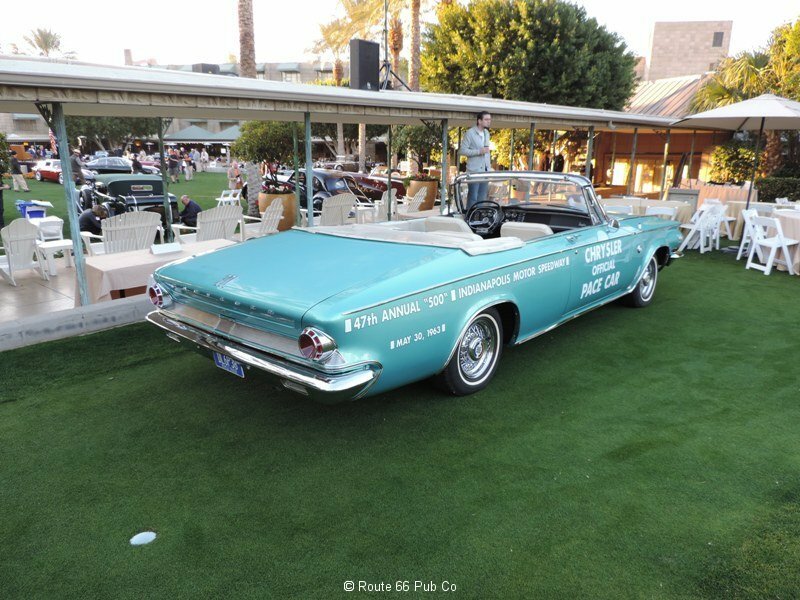 The car is a 12-165 Salon Model. 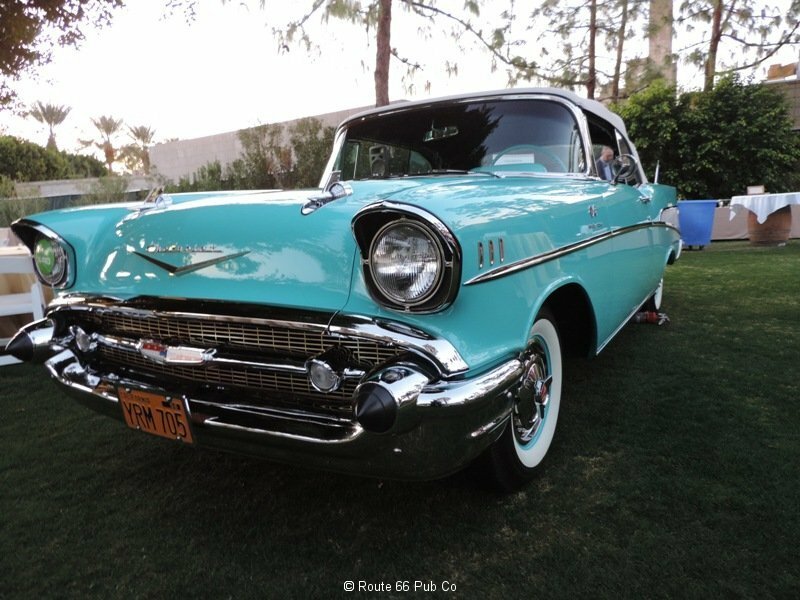 Even back then, cars came with over drive like this beauty! 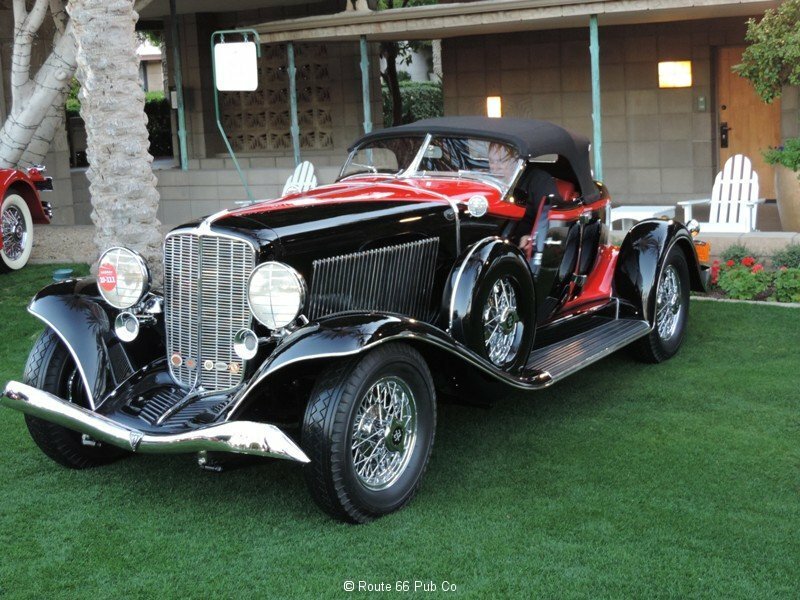 I wasn’t expecting to see this classic at the Concours, let alone win second for the Post -War American class. 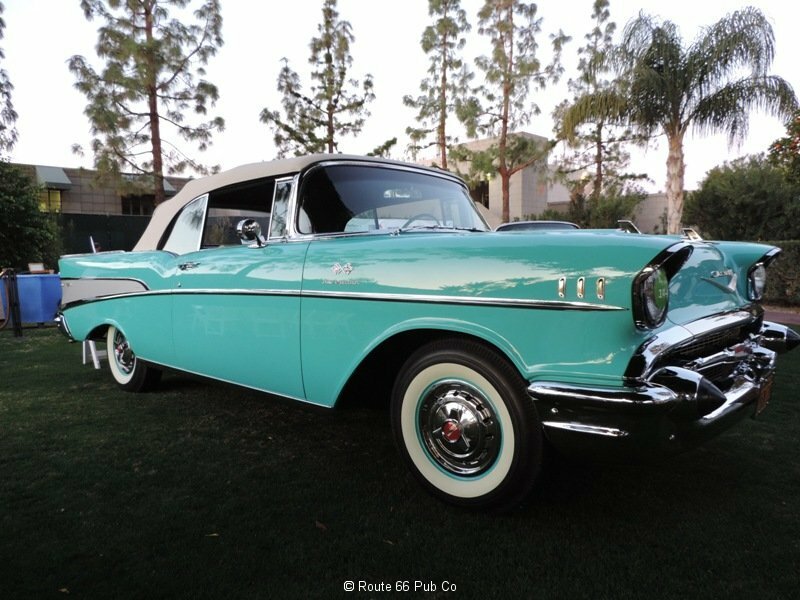 It is a traditional convertible and it was freshly restored. Popular paint choice and neat power plant motored this baby along. I was surprised that this didn’t win an award, especially with the focus on the 100th anniversary of the Indianapolis 500. 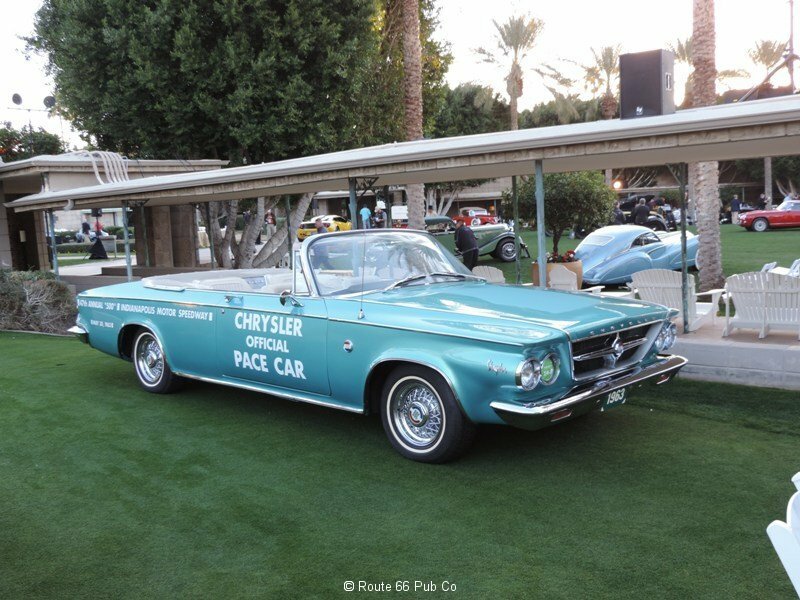 But nevertheless it was brought out from the Martin Museum and was originally offered by Chrysler to commemorate the 62 Indy Pace Car honors. 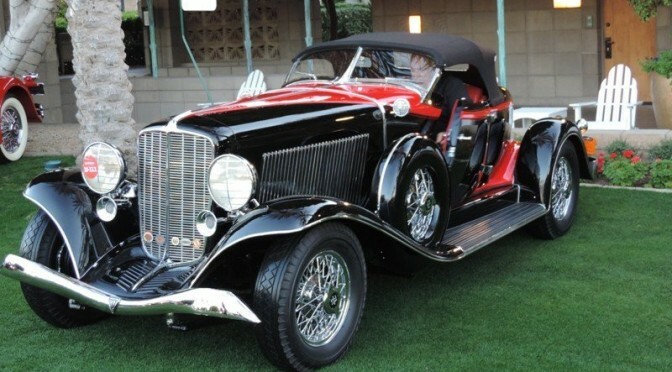 Our friends at Old Cars Weekly recently featured a similar car as their car of the week. Speaking of Auburns, it makes it hard to ignore this Cord. 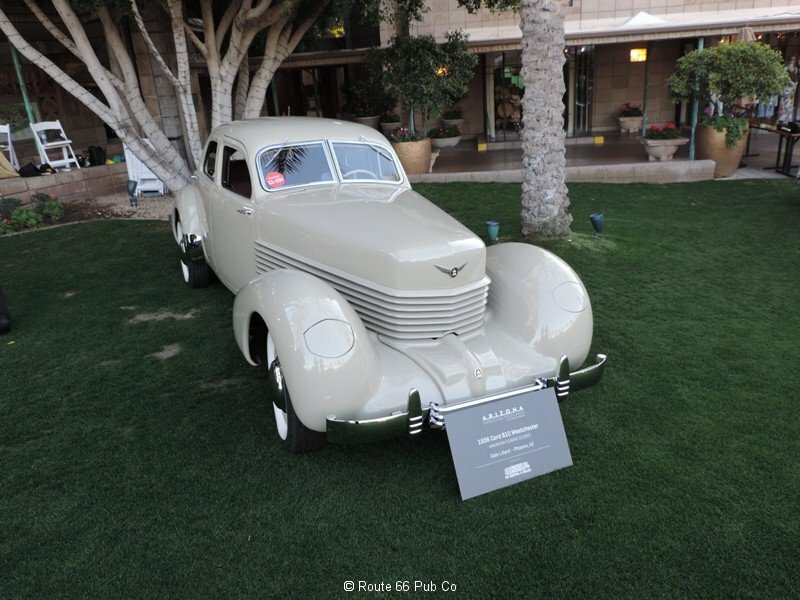 This Westchester is a rare, low production model and was one of the last made before the Auburn Automobile Company closed down in late 1937. Hope you enjoyed this review. Which was your favorite?